I have been on a quest for years. As a kid, I determined that the world’s most perfect food was a chocolate chip cookie. In fact, cookies were the first food I learned to cook on my own, which enabled me to satisfy my craving at will rather than waiting for my mom or dad to jump into action. 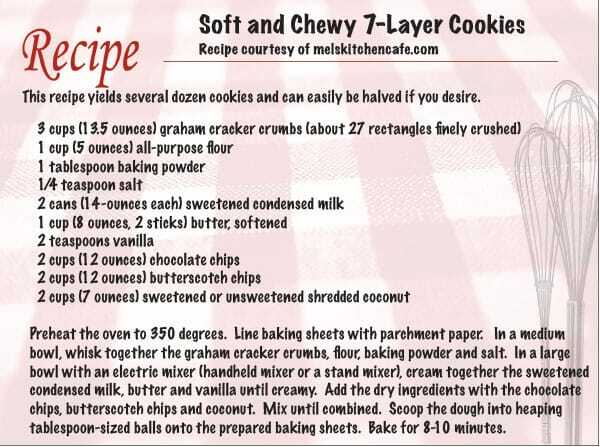 As a kid, I usually just used whatever recipe was on the back of the package of chocolate chips. Since my mom tended to stock up on baking supplies when items went on sale and therefore bought varying brands of chocolate chips, the recipe varied slightly, but was more or less a vanilla cookie with chocolate chips. The end. As a teenager I gained a degree of independence, and one of my favorite things to do with my newfound freedom was go shopping at the mall. Any excursion almost always included a trip to the mall food court to acquire a warm, gooey, fresh-from-the-oven chocolate chip cookie. 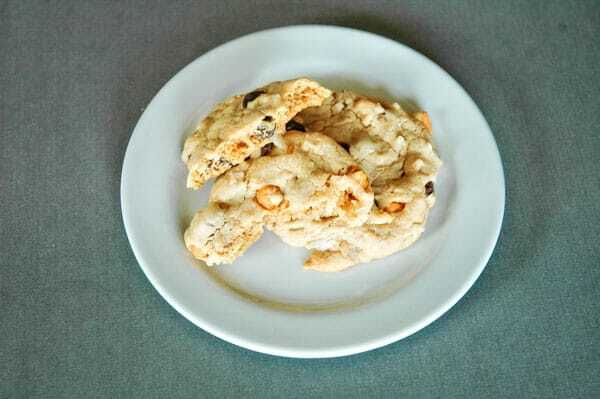 Before long, I was given a recipe that was said to replicate the mall cookies. This recipe required a mixture of flour and ground oatmeal to give the cookies body and texture. Making them was a little more work, but I felt the superior results were well worth it. Alas, as I age I am afraid that my cookie tastes have become decidedly more snobbish, and that tried-and-true recipe, though still good, leaves me a little unsatisfied. For a while, I made a chocolate chip shortbread that I dubbed “once-a-year cookies,” given the massive amounts of butter the recipe called for and what I felt might be the health consequences of consuming said cookie very often. The results were delicious and crispy, but what I really wanted was a true chocolate chip cookie with the perfect balance of softness and chewiness. I came pretty close to perfection with a recipe that calls for a box of vanilla pudding mix in the dough, but using something so processed seemed like a cheat and due to the altitude here in Castle Pines, I’ve had mixed results with the texture of those cookies. So the quest continues. Lucky for me, I have a house full of willing taste-testers who never seem to mind that my results are somewhat less than total perfection. My trials still produce wholly edible lunchbox desserts and after-dinner treats, so everyone wins in this ongoing experiment of mine. Several times a year, I troll the Internet for new ideas about perfect chocolate chip cookies. A few years ago, I stumbled across a recipe that required two types of flour, imported chocolate and an aging process that required the dough to chill for 36 hours. The cookies were fine, but after all that, I was disappointed to find that the cookies were simply adequate. My searches aren’t totally in vain, however. Sometimes I uncover treasures I wouldn’t have found otherwise, like the recipe I’ve shared here. While not a true classic chocolate chip cookie, it is a really delicious treat that comes together in a flash and would be the perfect addition to a Halloween party or holiday buffet. 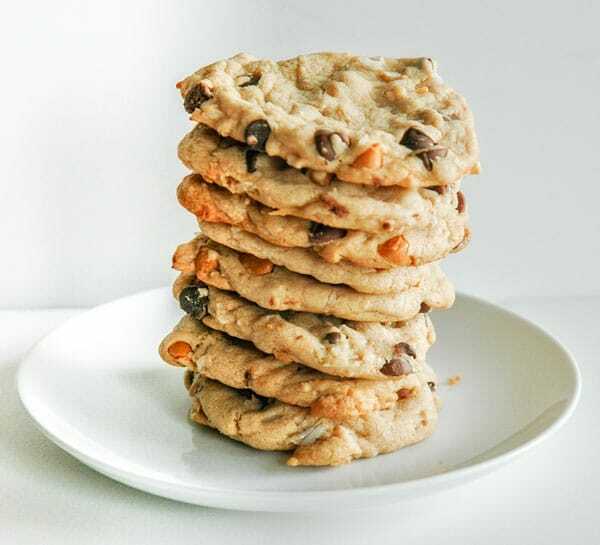 It combines all the ingredients of a seven-layer bar into a drop cookie, which makes them somewhat less fragile than the bar version, so they’re easy to wrap up and share. I found this recipe on one of my favorite blogs, Mel’s Kitchen Café (www.melskitchencafe.com), where I visit at least once a week. 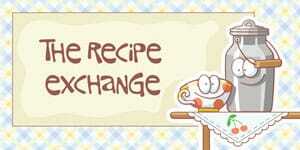 She has all kinds of great recipes and ideas, with lots and lots of cookie recipes. I hope you enjoy it.